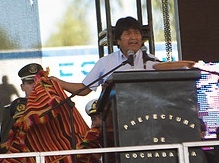 Bolivian President Evo Morales spoke at the World People's Conference on Climate Change and the Rights of Mother Earth in Cochabamba. 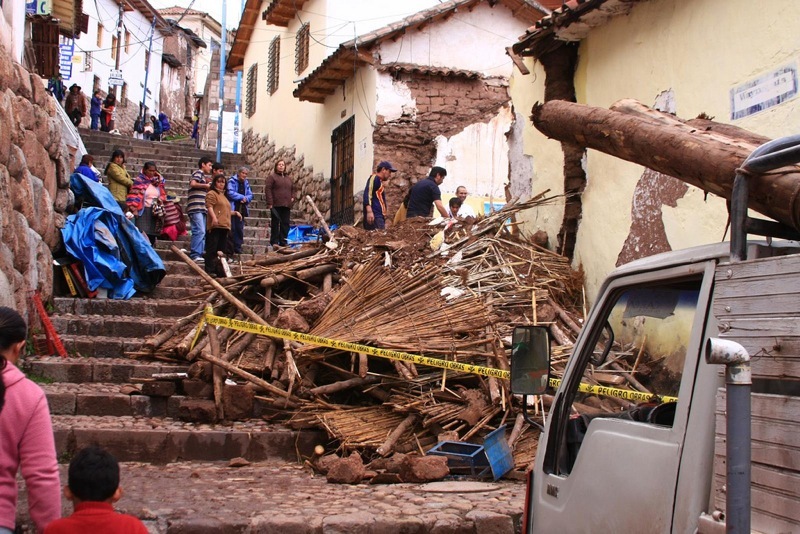 Top Story — Bolivian President Evo Morales inaugurated a climate change conference in Cochabamba on Tuesday. More than 20,000 attendants from over 125 countries are participating in the World People’s Conference on Climate Change and the Rights of Mother Earth this week. The meeting, supported by numerous grassroots organizations, is designed to act as an alternative to the United Nations’ continuing discussions on climate change. “We are gathered here because the so-called developed countries didn’t meet their obligation of establishing substantial commitments to cutting greenhouse gas emissions in Copenhagen,” Morales said. With the conference under way in Cochabamba, Nikolas Kozloff, author of No Rain in the Amazon: How South America’s Climate Affects the Entire Planet, asks how climate change will affect El Niño — an irregular weather pattern that periodically wrecks havoc on the Andes. In the wake of a report criticizing 287(g) and similar programs that deputize local officials to enforce federal immigration law, we wondered what supporters of these programs consider their biggest successes. So Alison Bowen asked around to find out who’s been detained and deported in these programs. 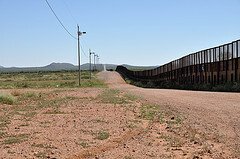 She contacted Immigration and Customs Enforcement (ICE), which trains the officers, and the Federation for American Immigration Reform (FAIR) and the Center for Immigration Studies, both groups that support 287(g). Read the latest post at her blog Beyond Borders to find out what they told her. Political analyst Claudia López took some time to discuss paramilitary politics in Colombia with The Latin America News Dispatch after her recent talk at New York University. Watch the newscast here. Hooded gunmen attacked a Holiday Inn in Monterrey, Mexico, on Monday morning, kidnapping at least three people. The carefully-coordinated assault bore signs of drug gang violence. An oil rig located in the Gulf of Mexico exploded Tuesday night, leaving 11 workers missing and seven critically injured. The U.S. Coast Guard is searching for survivors. On Wednesday, a Mexican prosecutor cited personal correspondence raising suspicions that a U.S. TV producer had murdered his wife while the couple was vacation in Cancún. A Long Island teenager was found guilty Monday for killing 37 year-old Ecuadorian immigrant Marcelo Lucero in a racially-motivated attack. The U.N. has launched a Web site to track the nearly $10 billion in aid to Haiti. The University of Puerto Rico closed Wednesday due to a student strike called to protest against budget cuts and changes to the academic program. The UN commission tasked with battling corruption and crime in Guatemala has fired around 2,000 police officers, and sent 130 government officials and others suspected of illegal activity to jail since being established 2 years ago. 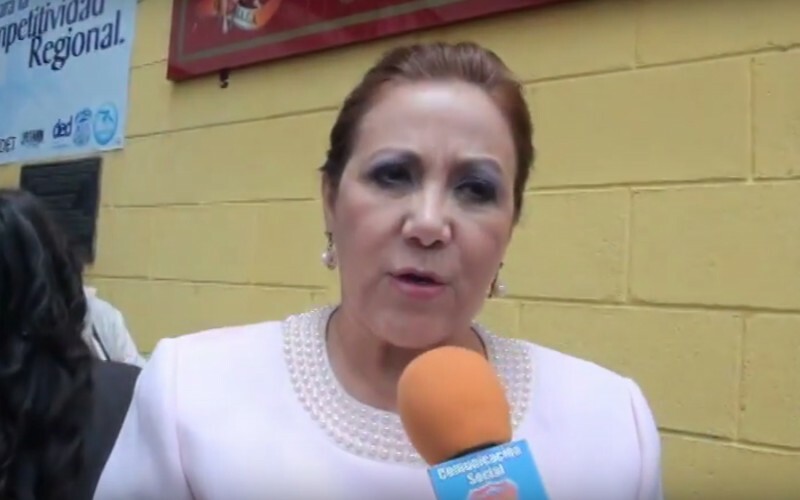 Officials in Guatemala disagree about the number of women who have been murdered this year, but there is consensus that violent deaths among women have increased substantially. 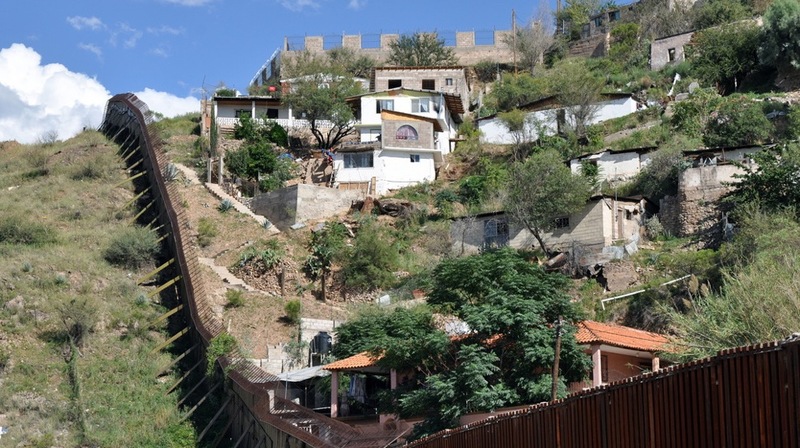 Government officials in El Salvador and Guatemala speculate that there are approximately 15,000 gang members in each country. In El Salvador, gang shake-downs are referred to as “rent,” so anti-crime activists have created comic “rent-dodger” to encourage people to resist handing over money. Journalist Georgino Orellana was shot fatally in the head as he was leaving a television studio in San Pedro Sula. It’s not known whether the shooting was related to Orellana’s journalistic work. Nicaragua’s President Daniel Ortega may restore ties with Honduras, which were broken after last year’s coup. Three opposition lawmakers were injured in Nicaragua when a pro-government mob prevented the country’s National Assembly from holding a vote to overturn a decree issued by leftist President Daniel Ortega. Venezuelan boxer Edwin Valero, who committed suicide Monday after allegedly murdering his 24 year-old wife, was buried Wednesday morning. Hundreds of fans attended the funeral. 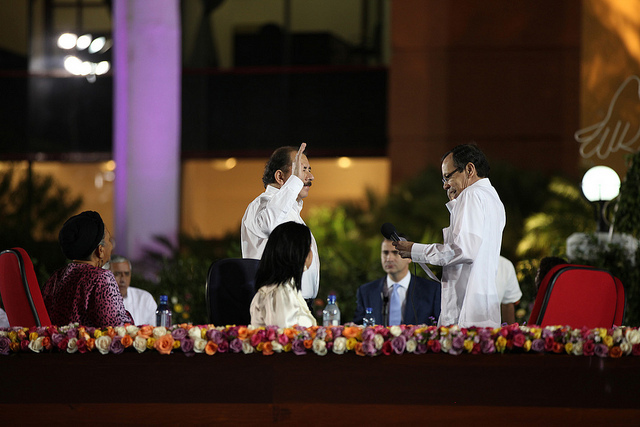 On Wednesday, Ecuadorian president Raul Correa named a new energy minister. Wilson Pastor, head of state oil company Petroamazonas, will replace Germanico Pinto, who was fired Tuesday. Colombia’s state oil company, Ecopetrol, approved the development of the Quifa oil field Wednesday. Luiz Marques Barbosa, the Brazilian priest accused of engaging in sexual conduct with young boys, has been removed from jail and put under house arrest. Authorities are reportedly investigating allegations that the priests accusers extorted money from him. Brazil is reportedly at the top of the list of countries who request user data, or ask to have content removed on Google. Google has responded by posting a map showing countries most prone to censorship. Banco do Brasil bought 51 percent of Patagonia, Argentina’s third-largest bank. Argentina’s budget surplus grew for the first time this year, adding to evidence that the country’s economy is on an upswing. Chile reports the country’s court system has been widely affected by a computer virus. Images in this post by The City Project @ Flickr and used under a Creative Commons License.